Is Grove Collaborative worth it? Let a real member give you the scoop what you'll love (and what you might not). Have you been thinking of joining Grove Collaborative? Maybe you've seen an ad offering a free gift just for joining. Or a friend is raving about her new cleaning caddy. 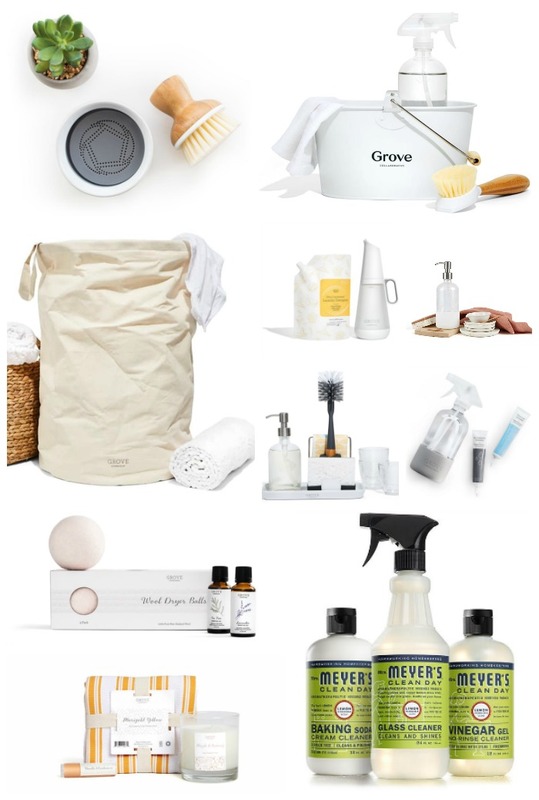 You've probably heard that Grove Collaborative promises to help you get a clean and healthier home with a selection of natural products delivered to your door. But you're just not sure, and maybe it even seems too good to be true. I know what you're thinking: is Grove Collaborative worth it? Before you sign up, there are a few things you need to know. I've been a member for nearly a year now and I'm here to answer all your questions so you can decide for yourself. Grove Collaborative is a company that focuses on giving its customers a healthy and natural home without all the stress of doing it yourself. By focusing on only the products that are good for you and the environment, they promise to save you a trip to the box store and have your products shipped right to your door. 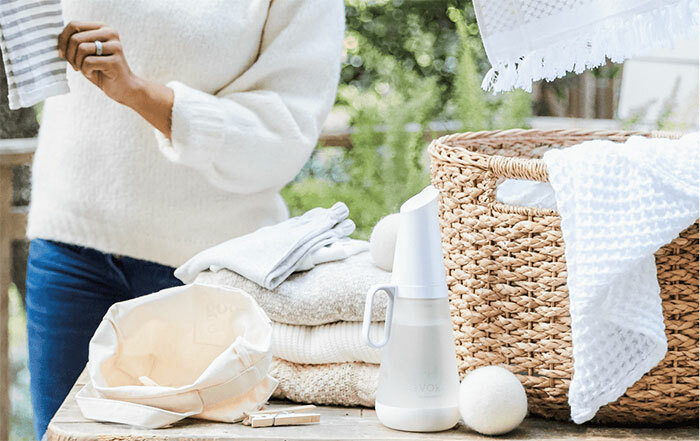 Grove Collaborative was founded by a group of friends with a goal to bring sustainable and safe products to every household. Not only do they seek to keep the ingredients on the label clean and sustainable, but they also design their own products that are not available in retail stores. 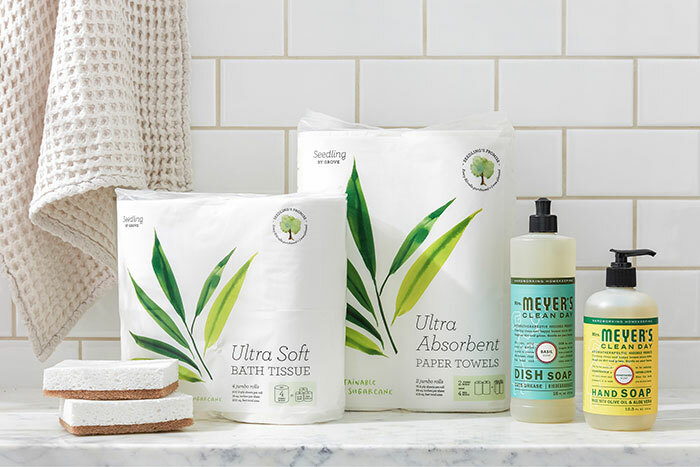 Grove is a Certified B Corp and is committed to ensuring that all of their products meet their standards for non-toxicity, sustainability, and is cruelty-free. In order to give their customers a way to make their life easier and healthier, they offer the ability to have natural and nontoxic products delivered right to your door. Grove is NOT a subscription box. You choose every item for your delivery. You can set up recurring deliveries for items that you use often, or simply order things as you need them. 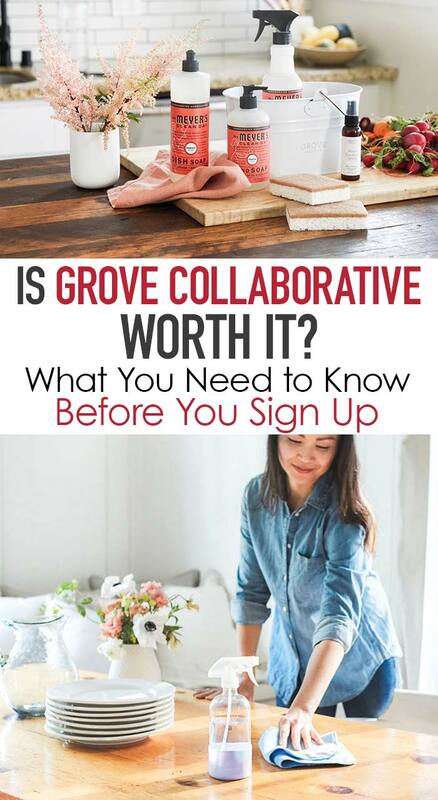 Grove Collaborative does not have a fee for you to be able to order their products. Which means that you are only paying for the products you buy and will use! New customers receive a free gift and a free trial of their VIP program with their first $20 purchase. Shipping is $2.99 and is carbon offset. While there is a minimum order amount in order to ship, you can get free shipping with a VIP membership (which costs $19.99 a year). The VIP membership includes free shipping, early and exclusive access to products from Grove Collaborative and price matching. You can set up a recurring shipment and customize it to your needs. You choose the products and when they are delivered. There is no requirement to order every month. You can pause your auto shipments if you prefer and just order as needed. Is Grove Collaborative Worth It? Quality. Everything that I've gotten from Grove, whether a brand name or their own product, has been high quality. From dish towels to their amazing cleaning caddy, I know that anything I order will be the quality I expect. Convenience. As a busy mom, nothing beats having my home essentials delivered to my door on my schedule. I love that Grove sends reminders when you might be running low and suggests products that you might like based on your previous purchases. Selection. As I said before, every product at Grove must conform to their high standards. This takes the guesswork out of shopping at mega-sites like Amazon or big box stores, where you have no idea if the "natural" product you are buying actually is what it claims to be. Flexibility. Grove makes it so easy to switch your shipments and to even turn them completely off, so there's no pressure to purchase or unexpected expenses. Price Matching. When you are in the VIP program, you can price match any product. I've personally done it and they make it super easy. And yes, they even price match Amazon. VIP Perks. In addition to the amazing welcome gift you get with your first purchase, as a VIP you get free gifts all year long. I've gotten some super cool stuff through this VIP program and combined with the free shipping it is well worth the $20 annual cost. There isn't a lot I don't like about Grove. I will say that they do not always have the lowest prices. However, if you are a VIP member you can take advantage of price matching, so you can easily save if you see an item offered for less elsewhere. Another downside to Grove Collaborative is that they do not have 2 day shipping like Amazon or other sites. My orders have always been quickly processed and shipped so I haven't found this to be an issue, but it is something to be aware of. What are the best things to get from Grove? 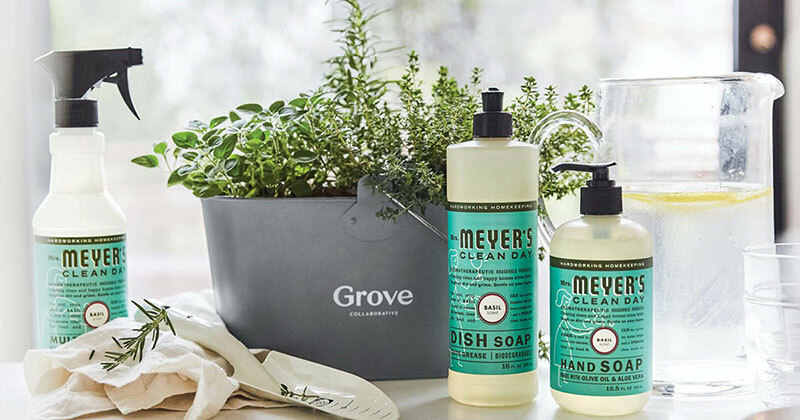 Grove offers a great selection of natural products for your entire family from baby to pets. But where they really shine is in their home cleaning and care products. If you're trying to decide on where to start, here are a few of my personal favorites (pictured below, clockwise from top left). Bubble up dish soap dispenser & brush - perfect for pots and pans. Portable cleaning caddy - I love this so much I have 3 and more on the way. Glass soap dispenser and gel soap refills for both hands and dishes. Glass auto-dispensing laundry soap system. Glass spray bottle with cleaning concentrates for both surfaces and hard floors. Stoneware tray and sink organizing set. Mrs. Meyer's cleaning trio. I love their hand soaps and lotions too! Grove exclusive kitchen towel and candle set. Collapsible canvas laundry bag. This bag is a BEAST and holds a ton of stuff, from dirty clothes to stuffed toys. And it folds flat! How can I try Grove Collaborative? I can’t say that Grove Collaborative is the right choice for every family. 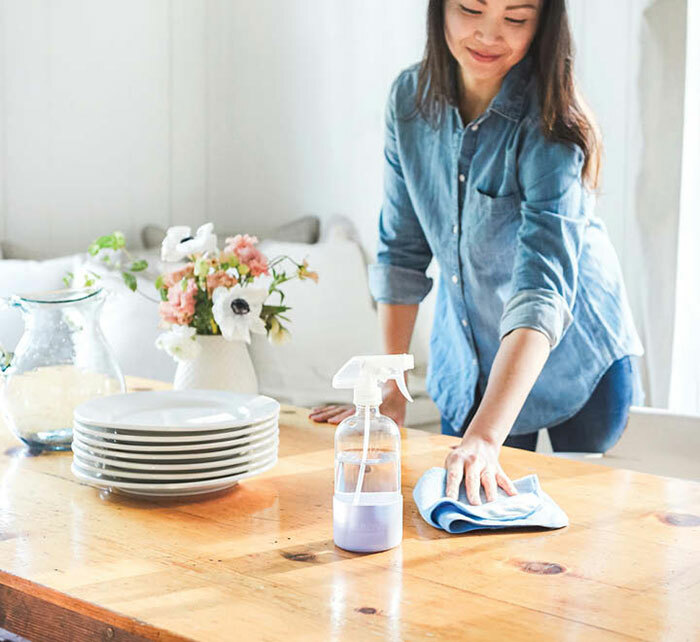 But I will say that has been a game changer for our family, allowing me to feel more in control over the products I use in our home with the convenience of not having to drive all over town to find the best selection or prices. I'm more confident in what I'm using and our home has never looked better! It's easy to try Grove Collaborative, and you can even get a FREE gift when you do. Right now, you can get a selection of some of my favorites from Grove for free with your first $20 order. Ready to give it a try? Click here to get started with Grove today!